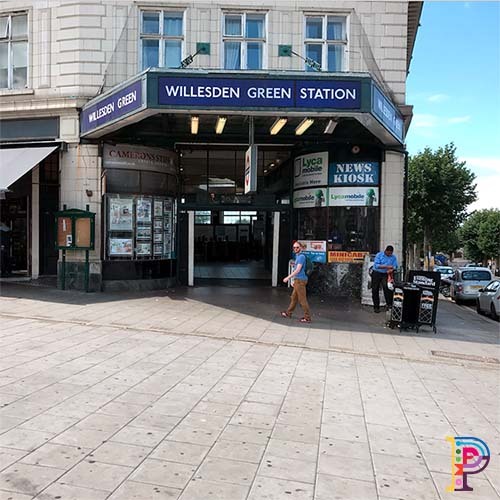 The Chewing Gum Action Group commissioned Plunge to transform the outside of Willesden Green Station into a ‘Gum Forest’. 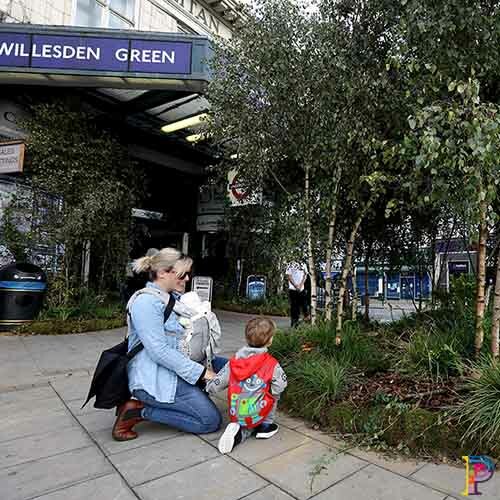 The pop up woodland was created in a bid to raise awareness of responsibly disposing of chewing gum. 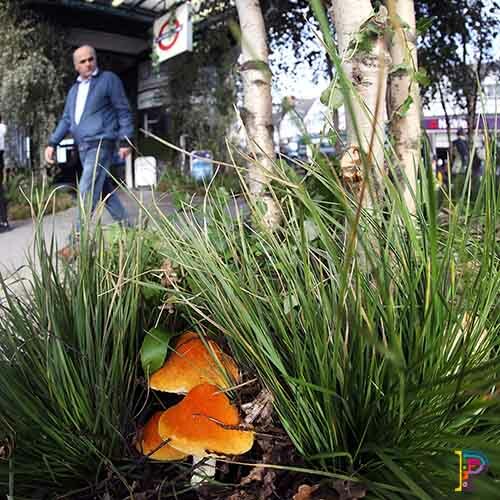 Commuters and passersby were treated to the sight of trees, mosses, ferns and even mushrooms in the temporary garden installation. 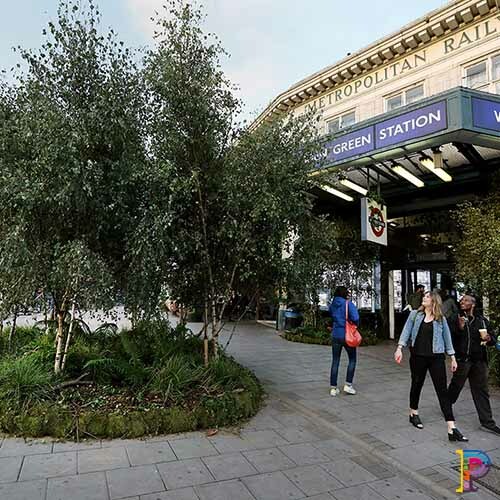 The anti-gum littering campaign hoped to give them “something to chew over” in that they wouldn’t drop chewing gum when walking out in a woodland, why do it in a city.